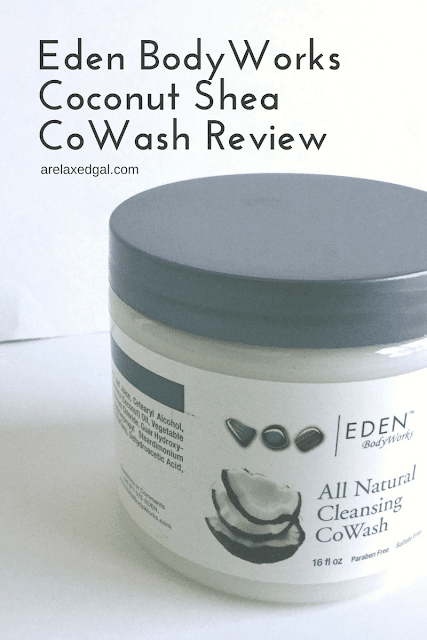 I've used Eden BodyWorks Coconut Shea CoWash during several of my wash days and a few times on my relaxed ends in between wash days and it works well with my relaxed hair. The CoWash is white in color, has a loose consistency but isn't too runny which allows for easy application throughout my relaxed strands. While the description says it's no suds, when I work it into my scalp I do get some. After using my relaxed hair feels squeaky clean, not stripped and there's no feeling of leftover residue. There is a smell of coconut, but it's not overwhelming and doesn't linger in the hair for very long. I'd been looking for a good co-wash and hadn't found one until now. Eden BodyWorks Coconut Shea CoWash is a keeper. It helps with moisturizing my relaxed hair. In fact, I use it mid-week if I'm experiencing dry ends and it gets me through to the next wash day. I'm glad I gave this a whirl and will be keeping it as a staple in my regimen to use during co-wash days or when my relaxed hair calls for some extra moisture. 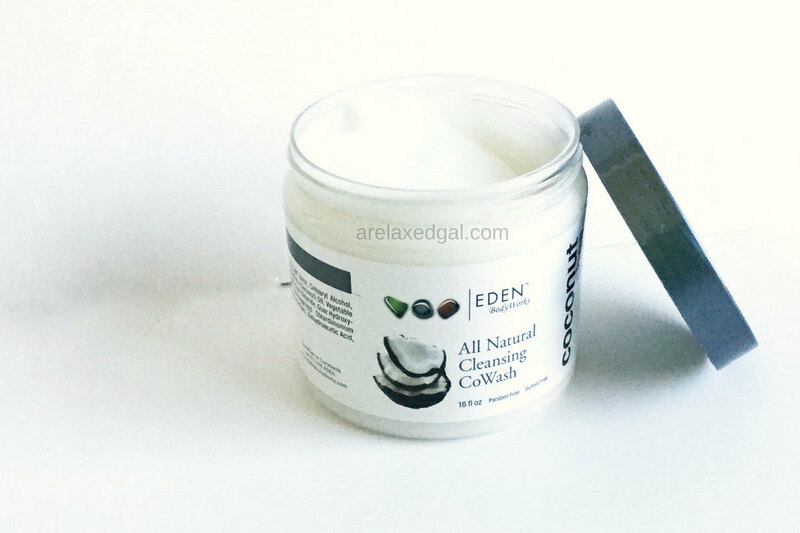 "Sulfate-free, no suds gentle cleansing conditioner cream for removing residue and build up between regular washings to promote a healthy hair environment for growth." "Water (Aqua), Aloe Barbadensis (Aloe Vera) Leaf Juice, Cetearyl Alcohol, Propanediol, Butryospermum Parkii (Shea) Butter, Cocos Nucifera (Coconut) Oil, Vegetable Oil, Hydrolyzed Keratin, Behentrimonium Methosulfate, Cetrimonium Chloride, Guar Hydroxypropyltrimonium Chloride, Butylene Glycol, Panthenyl Hydroxypropyl Steardimonium Chloride, Propylene Glycol Dibenzoate, Citric Acid, Fragrance (Parfum), Dehydroacetic Acid, Benzyl Alcohol"
"Dampen hair with water. Apply Cleansing CoWash liberally, working product from scalp down hair shaft to ends. Use a comb to detangle hair. Rinse well." I tried this product for the first time yesterday and I really like it. My decision to co-wash is basically the same as yours and I really think this will be a good change for my hair during the winter. 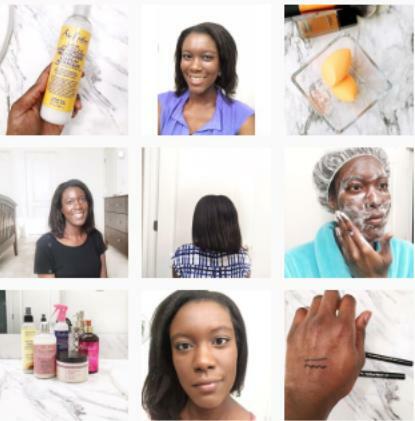 My plan is to wash my hair every 4-5 days alternating between regular washing & co-washing. I live in the Midwest so winters can be very harsh and I'm really trying to start focusing on maintaining healthy hair. Glad you liked it the co-wash. Have you picked out a shampoo to use for your regular washing days?